Lifetime Original Movie, House of Versace premieres this Saturday October 5th at 8/7c. House of Versace will be chronicling Donatella Versace's inspiring triumph over tragedy by carrying on her brother's powerful legacy after his 1997 slaying. Gina Gershon, screen icon and Golden Globe-winner Raquel Welch, Enrico Colantoni and Colm Feore star in the film premiering this Saturday, October 5th at 8/7c. The Lifetime Original Movie is based on Wall Street Journal reporter Deborah Ball's widely-read book "House of Versace: The Untold Story of Genius, Murder, and Survival", the movie brings to light the story of Donatella (Gershon), who, following the brazen murder of her brother, world-renowned designer Gianni Versace (Colantoni) at the height of his success, is suddenly thrust into the spotlight as head designer of his fashion empire. At first ridiculed by critics worldwide, Donatella falls victim to drug addiction and nearly bankrupts the company. With the help of her family, including daughter Allegra, Aunt Lucia (Welch) and brother Santo (Feore), she enters rehab to confront her demons and soon comes back stronger than ever to re-ignite the beloved Versace brand with her own vision and builds one of the most powerful and influential fashion houses ever known. Egypt Rising Some ancient secrets should remain buried. An American teenager in Cairo finds herself in the middle of the Egyptian revolution fleeing militant Islamic extremists. She leads her worst enemy and the boy she thinks about much too often on the adventure of a lifetime. When she discovers an ancient artifact that was buried for thousands of years, she learns that very powerful people will stop at nothing, including murder, to learn the secrets of a long-dead civilization. After a successful attack on his life opens his eyes to a world of war, shadows, and supernatural creatures—a world he didn’t plan for—Kaeden finds himself resembling the sort of monster he has always feared. As he desperately struggles to resist a new temptation, danger draws ever nearer, threatening the ones he loves most. A prophecy tells of a final battle and great destruction, and Kaeden must decide which side he is on, a choice that could mean the end of the world. In Book 1 of the Solace Series, P.K. Gallagher pulls readers into a realm where good and evil are at war, and the outcome of it all rests on one young man’s decision to either go and live...or stay and die. This is where the story of Parish begins. Allison Anderson knows she's a little different, but it hadn't bothered her too much-until now. Moving away from everything she's ever known to a new house, new neighborhood, and new school is bad enough, but it's her first year of high school too, making it even more intimidating. She's more aware of her social and physical limitations than ever before. And then there are the new people she meets: the tough-looking girl in her home room; the cute but dangerous-looking boy she first saw before school even started; the quiet, older girl who keeps to herself; the sullen-looking, seemingly isolated junior that doesn't seem to trust or like her at all. Can she trust them? While the peaceful situation of her new home only amplifies the sound of her own doubts, she begins to learn that things are not always what they seem, and her world is turned upside-down by these new friends, two-legged and otherwise. Life soon becomes more complicated, and much more interesting! 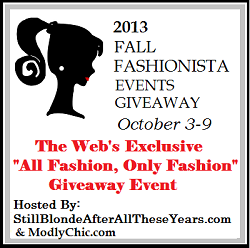 For every giveaway in the Fall Fashionista Event that an entrant enters, they gain one entry toward the FALL Fashionista Events Main Event Prizes. Go here to enter Main Event = $1000 in Main Event Prizes including a $300 prize from Coupons.com. Your Choice of (1) Karina Dresses! $160 Value - winner may choose one dress. They are easy care, comfortable wear, perfect for travel, and look great! Read my reviews of Karina Dresses HERE. After you enter mine, hop around the list below and enter more giveaways. PSST! 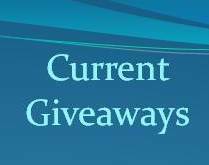 While you're here, click HERE to check out my other great giveaways too. A Proper Romance Ariella was only looking for a distraction, something to break up the monotony of palace life. What she found was a young man willing to overlook her title and show her a new and vibrant way of life. But when her growing feelings for Gavin spiral out of control and clash with the expectations of her station, she will discover that the consequences of her curiosity are far more severe than she’d imagined. I watched in helpless horror as two guards hauled Gavin to his feet and dragged him from the room. My voice was frozen, unable to protest as another guard took hold of my arm, leading me upstairs. From the confines of my room, I stared into the darkness beyond my window, hoping to catch one more glimpse of Gavin. He was gone, and I wondered if he would have been better off if he had never met me. I write clean romance. Why? Because that’s what I love to read, but over the years I’ve discovered it’s quite a challenge to find good clean romance. I believe it’s a genre that many people are looking for and too few authors are writing. My first novel, Just Ella, took me many years to write because I wanted it to be more than just a cutesy love story. I wanted it to have depth, to feel genuine. Hopefully I succeeded, but you’ll have to be the judge. 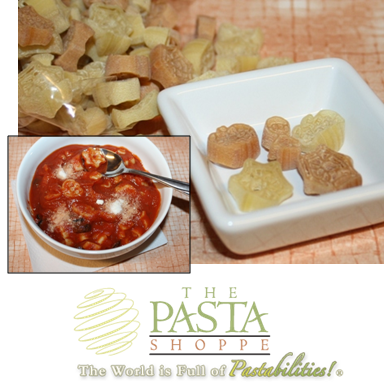 So many wonderful things arrived in my sampler box from The Pasta Shoppe! They offer a huge variety of products and some of the most uniquely shaped pasta I've ever seen. I instantly fell in love with the Halloween pasta with its spider web and pumpkin shapes. I saw Thanksgiving and Christmas pasta on their website too. Can you believe the pasta salad packages for the Longhorns and the Aggies arrived in the same package and didn't tear each other apart? I'm a UT alumni, so I had a hard time deciding which one I'd devour first. I love the school colors pasta idea too. You can see my Longhorn Veggie Pasta Salad Recipe below! So many pastabilities! How about Cheerleading Pasta or Zoo Animals Pasta? Inside each label there are recipe ideas and suggestions for different ways to enjoy it. They also have a fantastic fundraising program where you can have fun, eat pasta, and earn money for your group or organization! These products are high-quality, affordable, and delicious! In a large saucepan, bring water to a boil, add Halloween Pasta and boil until tender. Drain water and return pasta to saucepan. Add 29 oz can of tomato sauce, 12 oz can of tomato paste, 1 can drained sliced black olives. Simmer on low. Add 1 tsp garlic powder, 1/2 tsp salt, 1 tsp Italian seasoning. Stir gently; cover and simmer seven minutes. Serve in bowls, top with grated Parmesan cheese. In a small saucepan, mix Longhorn seasoning packet, 1 tbsp olive oil, and 1 tbsp red wine vinegar. Stir constantly, bring to a boil, boil 3 minutes, set aside to cool. In a large saucepan, bring water to a boil, add Longhorn Pasta and boil until tender. While pasta is cooking, dice 1/2 cup each of fresh red peppers, onions, celery, and 1 cup small pieces of broccoli. Drain cooked pasta and rinse in cool water. In a large bowl, gently mix pasta, diced veggies, and seasoning broth. Cover and refrigerate at least 2 hours. Serve cold. With more than 250 shaped pasta designs, they've got you covered when it comes to sports teams, hobbies, animals, holidays and just everyday fun, easy meals. Be sure to check out their creative chili packages and soup packages too. Your kids will go crazy for the Under The Sea Mac And Cheese! Their product line also includes Divine Meringues, which are amazingly divine and thank goodness they are only 7 calories each because Johnny and I finished an entire box in one evening! They are available in four flavors - Vanilla Bean Meringues, Chocolate Cocoa Crunch Meringues, Key Lime Coconut Meringues, and Peppermint Meringues. 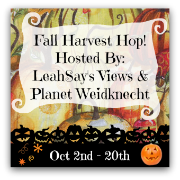 HERE on my blog in The Fall Harvest Giveaway Hop! Don't forget to click HERE for Fundraising Information! Breast Cancer has already taken some of my friends. It made me very aware of the fleeting nature of life. After losing some friends, I began making changes to help myself be healthier. What would be your Small Change in the month of October that would make your life more joyful and your body more vibrant with health? In the month of Breast Cancer or Any Cancer Awareness, we would like to remind you that cooking could be enhanced not only with fresh and organic produce. Your health and your meals could benefit from the kitchen utensils you use, like this Kitchen Assistant Blender. With this versatile blender and mixer in one, you would be able to prepare a variety of dishes for your breakfast, lunch or dinner, and even parties as well. The functionality for blending, mixing, chopping and kneading is simply priceless when you buy a kitchen gadget and receive so many outputs! Who is ready to mix your first delicious smoothy or prepare a yummy dip? If you're up for a task, we'll join you! There are many chances for you to win this healthy kitchen tool to make your life easier, recipes bursting with fresh flavor, and your family simply adoring this way of preparing meals. With this Kitchen Assistant Blender your kitchen life would change forever. 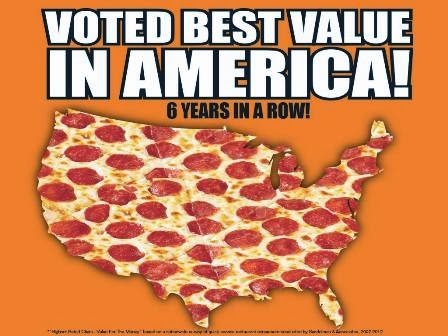 Once again, Little Caesars Pizza has been Voted Best Value In America. That makes six years in a row! 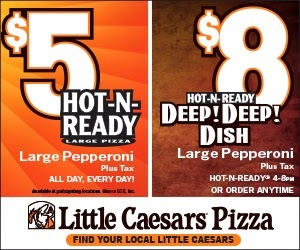 Get great value at Little Caesars like the $5.00 HOT-N-READY pepperoni pizza and the new $8.00 DEEP! DEEP! Dish pizza, along with many other fabulous values on chicken wings, specialty pizzas, and delicious breads. 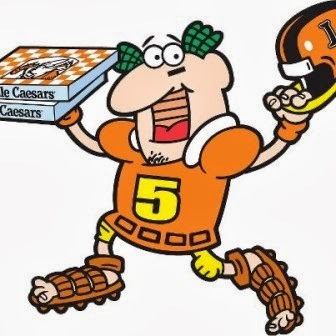 Always made with fresh ingredients, Little Caesars Pizza offers you REAL food and REAL value. Perfect for family meals, birthday parties, and for watching the big games. Grab a feast for a few bucks and make everyone happy. My family loves Little Caesars pizzas and two pieces each usually fills us up fast! Breathe deep and enjoy the wonderful aromas in your house! What do you smell? Pet odor, old shoes, kitchen trash, teenager sweat, and last night's fish dinner? Cleanwell Botanical Fabric Deodorizer helps you eliminate all those odors (and many more). It's patented formulations of thyme oil contains no harsh chemicals so you can use it around your kids and your pets without safety worries. The Fresh Meadow scent is wonderful, light, and clean. I've used it on my sofa, my loveseat, my curtains, all our shoes, both our vehicle interiors, and especially on my dog's bed. It works great! The entire bottle, including the trigger, is recyclable too. The Botanical Fabric Deodorizer is just one of many products in the CleanWell line, designed to make your life easier and healthier! Visit www.cleanwelltoday.com for more information. This new Home Collection is a collaboration between 3M's Post-it Brand and Scotch Brand. They've come together to create a complete line of organizational products. Available nationwide at the Container Store, the Home Collection includes everything families need to organize paperwork, pictures, awards, bills, and important reminders. My favorite new product is dots, squares, and strips that can be used over and over again. The Restickable designs are perfect for posting reminders and photos on my fridge, my desk, my car dashboard, and my front door. I put them all over the paper sorter so you could see the different designs. The long orange strip across the front is adhesive on front and back. I've been using it in my kitchen to prop up my recipe sheets while I'm cooking. The Home Collection also includes View and Go Pockets that have a clear front and adhesive strip. I stuck mine to the side of my file cabinet and filled it with all my almost-due bills. The Reminder Tags have adhesive at just one edge so I can loop an errand reminder around my purse strap or even the steering wheel of my car. The Display Frames come in different sizes and are perfect for showing off perfect homework scores, awards, and photos. They can be used over and over -- just lift the edge of the frame and swap them out. They come with adhesive stickers so you can hang them anywhere. I love when two trusted companies come together to create new high-quality products that make my life easier. The subtle colors work with any decor and keep my important (and beloved) items where I can find them quickly and still keep them protected. Visit www.post-it.com/home to see the entire line and shop at www.containerstore.com for all your home organization needs! It's October! That means it's time for harvest festivals, Halloween costumes, and fall fashions! It also means that night falls earlier every day now, cutting into my evening walks with my dog Buddy. The new collars and leashes from Dog-E-Glow combine the fashion of amazing autumn prints with the function of LED light-up technology. Dog-E-Glow collars and leashes illuminate their entire length and are seen up to 1,000 feet away for maximum visibility. The battery-operated lights last up to 150 hours. Available exclusively at Petsmart, the new fall designs of Dog-E-Glow collars and leashes come in Orange Plaid, Blue Bones, Red Bones, and Colorful Skulls. There is also a Collegiate collection and a Fashion collection at www.dogeglow.com. Offered in sizes from extra small to extra large, these products are safe for pets, lightweight, and weather-resistant. Now Buddy and I can walk anytime we want! The LED lights are secured inside high-quality nylon and a single button makes the lights visible in either a steady mode or flashing mode (see video below). Imagine the attention you'll get taking your tricked-out dog trick-or-treating with the kids this year! Marvel Studios, UL (Underwriters Laboratories), Dolby Laboratories, National Academy of Science, Girl Scouts USA and El Capitan Theatre Team Up to Host Marvel’s THOR: THE DARK WORLD ULTIMATE MENTOR ADVENTURE! This is a great opportunity for girls 14 years and up, in grades 9 - 12, to embark on a journey to discover their potential and future in the world of STEM: Science, Technology, Engineering and Mathematics. For more information, rules and how to apply, visit www.ultimatementoradventure.com. Finalists of MARVEL’S THOR: THE DARK WORLD ULTIMATE MENTOR ADVENTURE will win a week’s trip to Southern California, provided by UL (Underwriters Laboratories) and Dolby Laboratories. The Ultimate Mentor Adventure will allow the girls to meet some of the most incredible Women in Science such as Dolby Laboratory Senior Scientists, conducting interviews and be challenged to participate in experiments. It will also include interactive events and go behind-the-scenes where the general public is not normally invited – all while having their adventure filmed. On Friday, November 8th, the winners will conclude their excursion and be recognized at the Premiere Screening of their Ultimate Mentor Adventure documentary short. The video short will be shown at the El Capitan Theatre prior to a screening of MARVEL’S THOR: THE DARK WORLD in Dolby® Atmos™ on opening day. HYDRIVE Energy Water is the newest thing out of Austin, Texas! Made by the makers of the delicious Big Red Soda, this new energy water gives you the refreshment and the taste you want, plus the caffeine you need to get through your day. To increase your daily water consumption, try switching out your afternoon coffee drinks with HYDRIVE non-carbonated water with its nutrient-enhanced formula. HYDRIVE Energy Water is just 30 calories of deliciousness in seven flavors so you're sure to find at least a few that are your favorites. The Triple Berry contains an antioxidant formula to help your body detoxify from all the environmental effects of our society. This is one of my favorites. The Citrus Burst flavor is their vitamin formula and the Kiwi Strawberry is their focus formula. These refreshing, light flavors are my go-to waters after my morning walk and neighborhood bike ride. The Black Cherry Extra Power formula is my favorite taste. Its energy boost is exactly what I need when it is late afternoon and I'm starting to fade out hours before my work is done. With the same amount of caffeine as leading energy drinks, HYDRIVE energy water goes above and beyond by providing me the water my body really needs. The Lemon Lime tastes just like another product I've enjoyed for years! The Blue Raspberry is also an Extra Power formula and it's delicious, especially if I stick it in the freezer for ten minutes right before I drink so it's icy cold. I've never been fond of grape-flavorings, so the Grape flavor is my least favorite, but my husband loves it. The Recovery formula is perfect for those who work out regularly. Visit hydriveenergy.com for more information and be sure to follow them on Facebook and Twitter! Check your local grocery stores, convenience stores, and Walmart stores for HYDRIVE Energy Water.